Frank Shorter NPR coverage of Frank Shorter: News, author interviews, critics' picks and more. 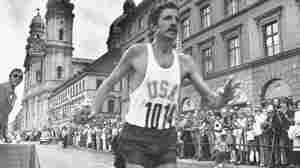 August 2, 2016  He won the Olympic marathon in Munich in 1972, a dramatic triumph that helped fuel the running boom in the United States. But as he writes in a memoir, running helped him deal with a dark secret.